Expression lines are caused by the contraction of thin muscle groups every time you smile, laugh or frown.. These wrinkles can make you look angry, tired or nervous even when you do not have these feelings. The more you use facial expressions, the deeper these wrinkles become. 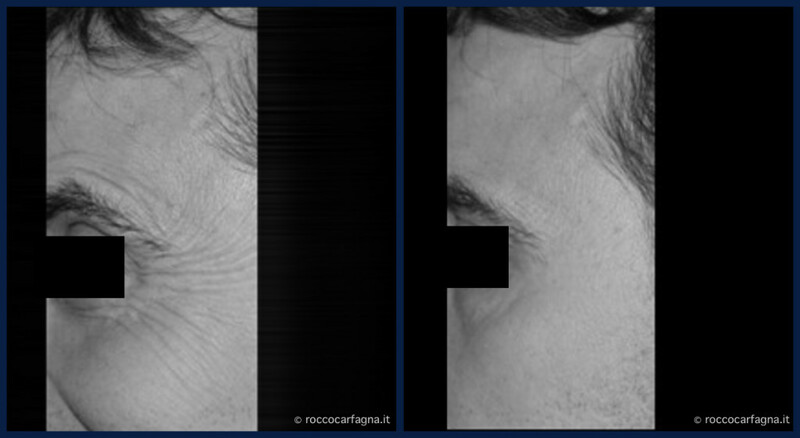 Today one can prevent the formation of these wrinkles by using botulinum toxin. THE BOTULINUM TOXIN (BOTOX), is used with maximum safety and ease and guarantees a quick and effective result for the disappearance of existing wrinkles and, at the same time, can prevent the formation of new ones leaving expressiveness and facial expressions almost unchanged. Medical treatments with Botox are extremely safe and have been carried out for 40 years for the resolution of different ophthalmologic and neurological diseases, as botulinum toxin is primarily for medical use and is subjected to maximum security and continuous controls. 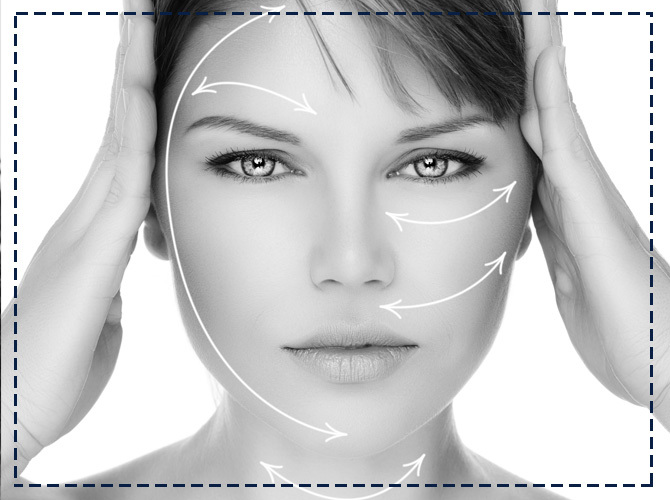 Botox partially inhibits nerve impulses to the facial muscles that cause wrinkles of expression. A few hours after treatment, the skin will be smooth, wrinkle-free and extremely natural without the expression of your face being affected. 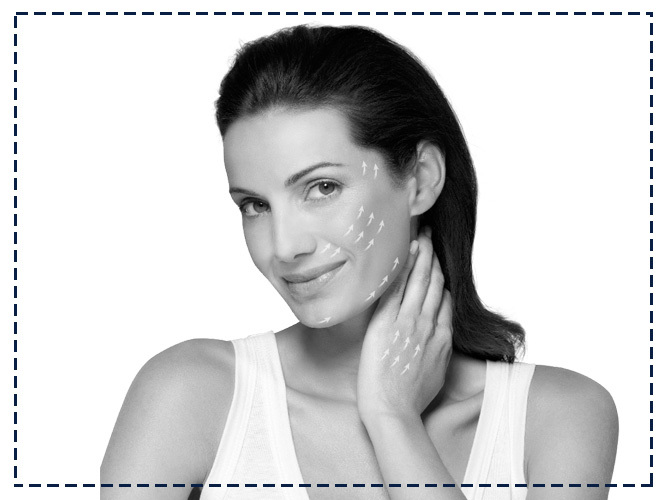 The botulinum toxin treatment is safe and simple and takes about five minutes. 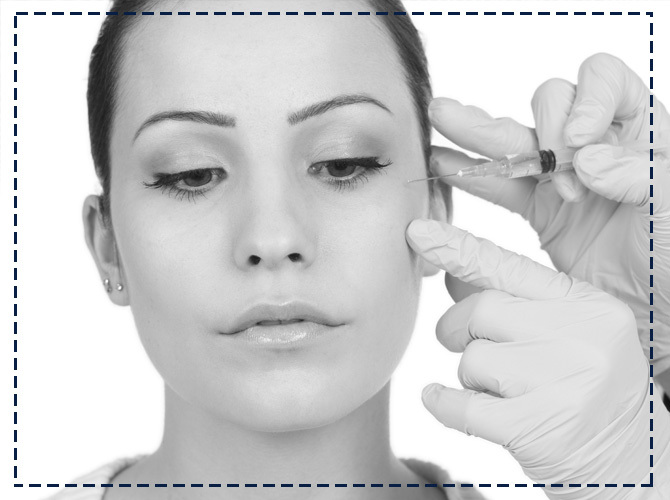 Using an extremely thin needle, the toxin is injected in a precise manner in predetermined points on the face. Pain is almost absent, there is no need for local anaesthetic and normal daily activities can be resumed immediately. Unfortunately treatments with botulinum toxin have a limited life. The effects vary from four to eight months. 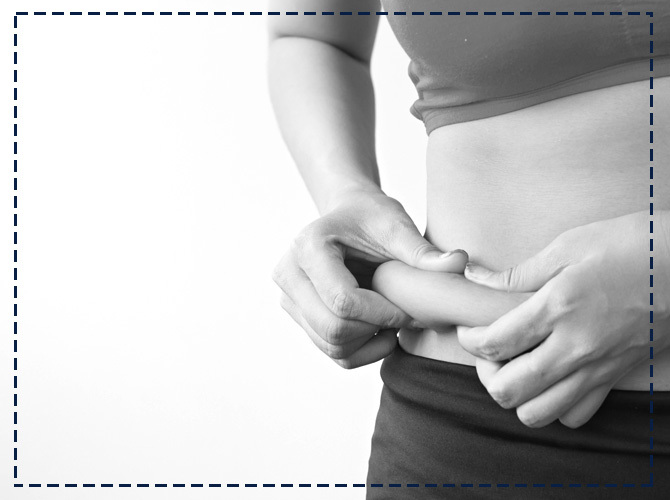 You need two or three treatments per year.